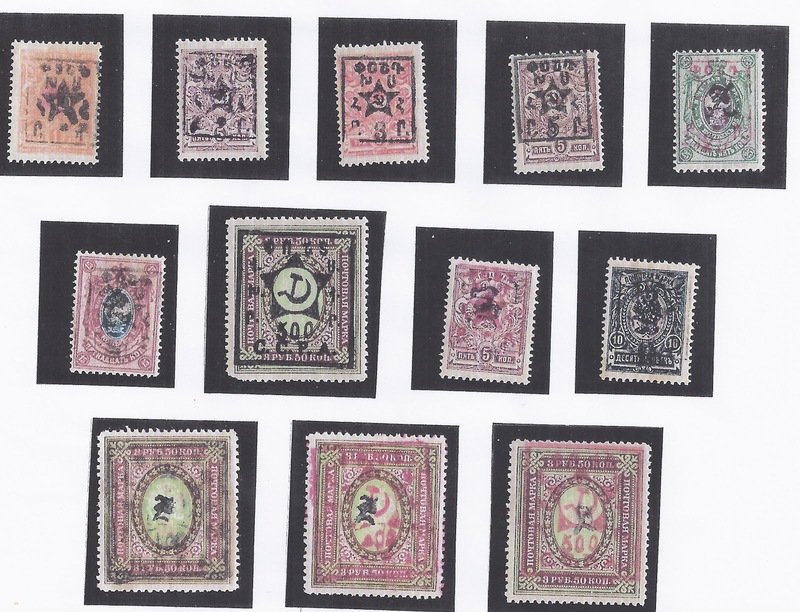 Following on from my recent Blog about Armenia 1921 First Star Overprints, I can now show 12 more examples. 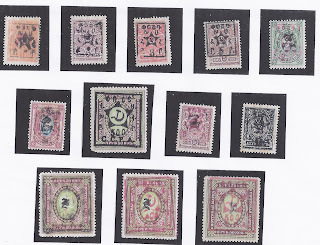 These are in a British collection and reproduced here by kind permission of the collector. None of them is identical to any shown in the previous Blog post. However, there are intriguing relationships. For example, my 1 kopeck perforated is overprinted with an unframed Z and a numeral "1" both in what I think of as Aniline Rose. The stamp in the collection above does not have a "1" but does have the unframed Z in the same ink. I believe that with these two Blog posts, colour images of the First Star overprints have been made available for the first time - and they can be enlarged for study with a simple click. But to do research on them requires more examples. Any reader who has copies and is willing to let them be shown here (with or without mention of their name) is invited to send me 600 dpi JPG scans.